Nothing screams “Australiana” like esteemed Australian contemporary artist, Mark Schaller, who is the muse behind The Schaller Studio luxury hotel. This stunning Bendigo establishment will get your creative juices flowing with edgy workspaces fit with art supplies and original Schaller pieces everywhere you look! For those who love the bright, colourful and artistic side of life, The Schaller Studio wins you over with the stunning Mark Schaller artwork and desirable creature comforts. You will love the Art Series Signature beds, luxe EVO products and your own private balcony to reflect on your creative process. After taking inspiration from the paintings, mosaics and sculptures that adorn the Bendigo hotel, soak in the history and knowledge of the art tours, classes and utensils offered to you during your stay. The Schaller Studio staff want you to get the most out of Bendigo as possible – you’re welcome to use on of the stylish Dutch yellow Lekker bicycles, scooter or Smart Car to explore this stunning district. Bendigo is approximately 1 hour, 20 mins from Melbourne. Head north-east on Midland Hwy/Pall Mall/A300 towards Bull St, continue to follow Midland Hwy for 450 m. Turn left onto Chapel St. At the roundabout, take the 1st exit onto Arnold St and make a right onto Lucan St. The Schaller Studio is on the corner of Lucan St & Bayne St. 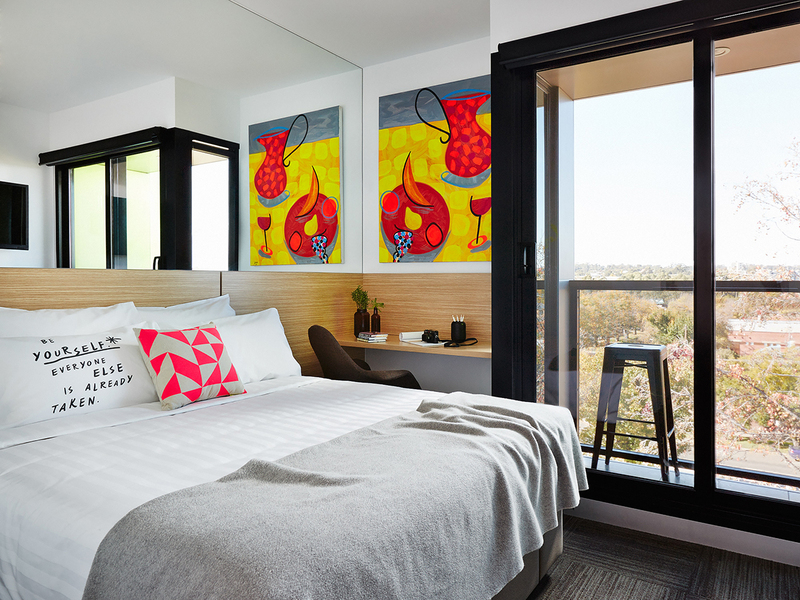 The Standard Hotel Room is a cosy space ideal for an overnight stay, offering a comfortable short queen bed, modern bathroom, private balcony, LED TV, free WiFi, work desk, coffee pod machine and microwave. The Standard Twin Hotel Room is a cosy space ideal for an overnight stay, offering two single beds, modern bathroom, private balcony, LED TV, free WiFi, coffee pod machine and microwave. The Superior Hotel Room provides the opportunity to spread out and relax, with a comfortable short queen bed, modern bathroom, separate interconnected living space with sofa and LED TV, private balcony, free Wi-Fi, work desk, coffee pod machine and microwave. 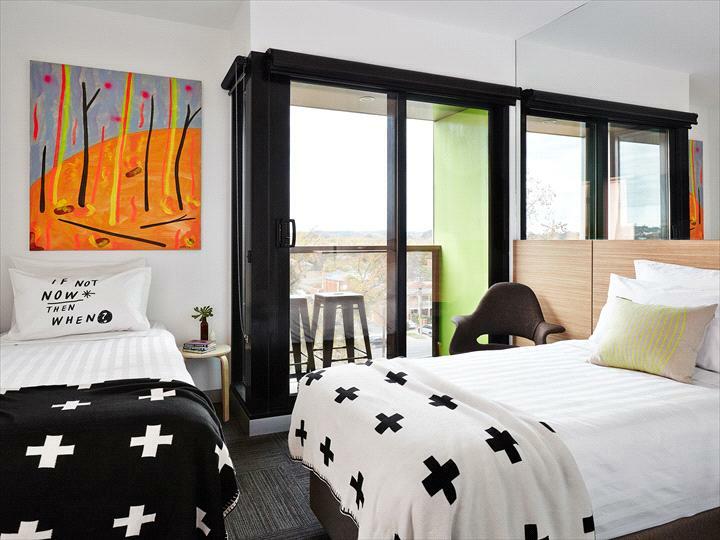 The Standard Hotel Room is a cosy space ideal for short term stay, offering a comfortable short QUEEN bed, modern bathroom, private balcony, LED TV, free WiFi, work desk, coffee pod machine and microwave. No refunds available within 30 days of check-in date.